Go all out with your fashion accessories this year for the Melbourne Cup! This fabulous hat would be an absolute hit at the races. 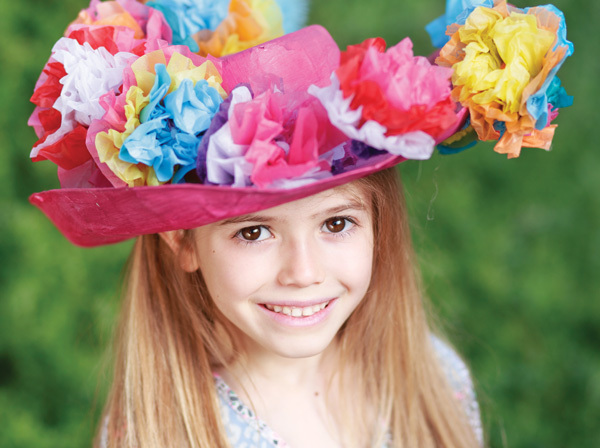 Use simple skills to create an abundance of gorgeous flowers to decorate a hat! 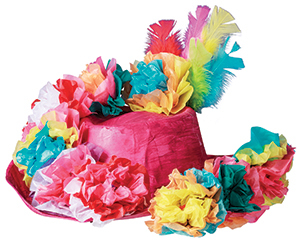 Paint a hat and put aside to dry. To create a flower, lay 3 different colours of Tissue Paper together. Concertina fold the Tissue Paper. Cut in half across the width. Twist a Chenille Stem at the centre of the concertina strips. Gently pull up the top colour followed by the other colours. Glue the flower designs on to the hat. Glue Feathers to the hat.